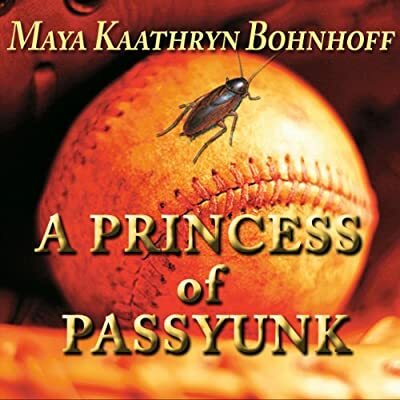 Author: Bohnhoff, Maya Kaathryn Set In . . .
Philadelphia, 1950's: a boy, a baseball, a cockroach. Unlikely place. Unlikely characters. Unlikely love story. I grew up with tales of Old World magic. Fairy tales, ghost stories, legends of great Slavic heroes like Kralyevich Marko and his marvelous horse, Sharats. Living in the USA, I wondered where the magic went and if maybe just a little of it might have crossed the ocean from the Motherland. A Princess of Passyunk is my answer.... Okay, so my hero doesn't ride a magical horse—but he has a magic baseball. And he's not a prince...exactly—but he does fall in love with a Princess...sort of. And he doesn't slay magical beasts—but he does battle an angry Sausage King and a scheming Crone in order to complete a magical quest...in a manner of speaking.